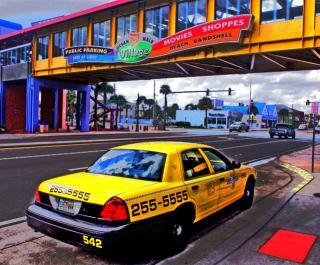 Yellow Cab Company voted #1 "Best Taxi Service" in the Daytona Beach area the past 20 years! Yellow Cab Company offers affordable prices, great service, on-time pickups, superior equipment, knowledgeable drivers and 24 hour dispatch. We will cater to your needs; we will do whatever it takes to earn your business! We offer a clean, well maintained taxi with a friendly, knowledgeable, English speaking driver. With the largest, newest and best maintained taxi fleet in Daytona we will be on time to pick you up and a friendly driver will take you to your destination. Whether you are headed to the Beach, Golf, Kennedy Space Center, Airports, NASCAR, Race Week, Bike Week, Spring Break, Disney, Universal Studios, Sea World, St. Augustine, Destination Daytona, Conventions or Trade Shows, Yellow Cab Company can get you there! Service areas include the Greater Daytona Beach area, Palm Coast, New Smyrna Beach and Flagler Beach. 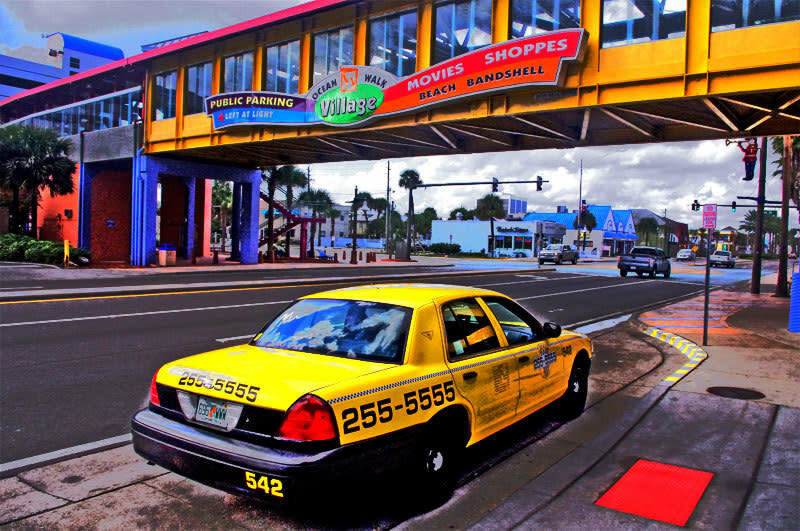 Only at Yellow Cab Company: Child car seats, Accept Credit Cards, Knowledgeable drivers, Fare Calculator (www.DaytonaTaxi.com), GPS dispatched taxis.